Happy Monday Everyone! 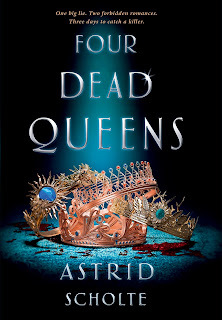 Today I’m excited to have debut author Astrid Scholte here to share about her YA fantasy FOUR DEAD QUEENS. It’s got high stakes, a murder mystery, and forbidden romance—three things that make me excited to read it. It releases February 26th in the U.S.
Hi Astrid! Thanks so much for joining us. Thanks so much for having me! 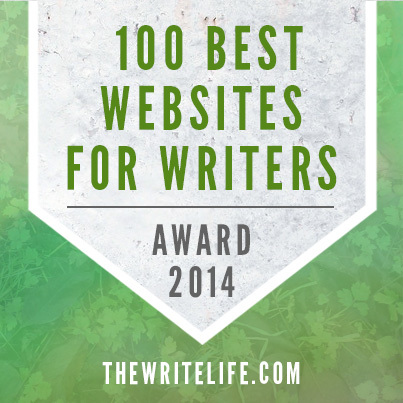 I used the Literary Rambles website all the time during my years of querying. Ever since I was a kid, I wanted to be an author, writing my first "novel" at age 5. Another love of mine was drawing so I thought I should be a picture book illustrator. Back then, I thought I could write and illustrate my own books. It wasn't until years later that I found out most authors don't also illustrate their work. While my passion for writing existed from a young age, I pursued a career in 3D animation and visual effects as I also had a love for the magic of movie making. I studied 3D animation at university and have worked (and still do) in the film, TV and animation industry. Working in film production is a taxing job, with long hours, so my writing took a backseat for a few years. It wasn't until 2012 that I finally finished a novel. It was a YA paranormal romance and I thought for sure it would be published! 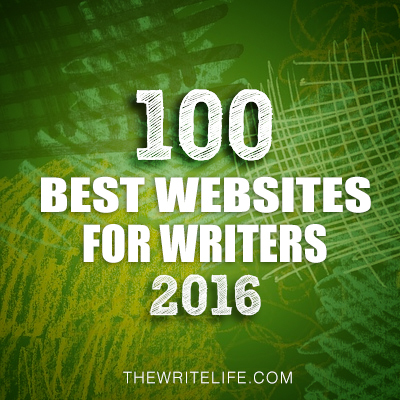 I attempted to be published here in Australia, where you can submit directly to publishers. After getting close with one publisher (or what felt like close as they gave a detailed, positive rejection) I decided to query agents in the USA. Over 100 rejections later, with only one full request, I realized that like many of the characters in YA paranormal novels, the genre was dead. That year, I attempted Nanowrimo for the first time and wrote 50K words of what would become my second completed YA novel, an elemental YA fantasy. This time, I went straight to agents in the USA, as I'd been told that speculative fiction was a difficult sell in Australia. 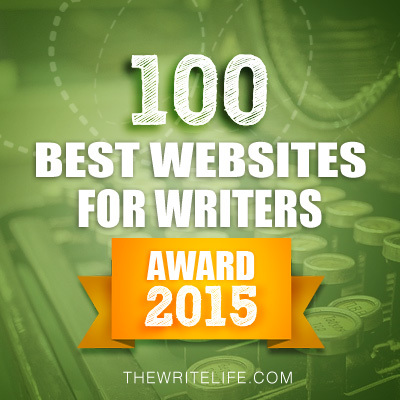 I amassed around 80 rejections with that manuscript, but received 12 full requests and some positive feedback. A common response was that YA fantasy was oversaturated and my book wouldn't stand out in the market. So I decided to try one more time. (In truth, I'm sure I would've kept going!) I wanted to combine all the things I loved about YA and fiction, including twists, morally gray characters, forbidden romance, secrets and murder mysteries. I also wanted to query as quickly as possible as I'd spent years on failed manuscripts. This book was Four Dead Queens. Luckily I didn't give up! 2. Yes it is good that you kept at it. Where did you get the idea for FOUR DEAD QUEENS? This might sound a little cliché, but I had a dream where I was sitting in a horse-drawn carriage when a futuristic silver car flew past. When I woke, I wondered what kind of world would exist with such contrasting technologies and how this would impact the vocations, personalities, and dreams and desires of the people who lived there. I'm also a huge fan of murder mysteries and had this image in my head of multiple queens sitting back-to-back, discussing a murder from their shared court. 3. You have this fantastic teaser on your website: One big lie. Two forbidden romances. Three days to catch a killer. It makes me immediately want to read your book. How did you come up with this and all these fantastically compelling stakes in your story? Thank you! The tagline was something Penguin Random House asked me to do and they had the idea of the 1, 2, 3 list leading up to Four Dead Queens. Luckily there were elements in the book that fit that numbering! As for the stakes, I’ve always been drawn to high-concept and high-stake novels and it was something I wanted to create within my own work. I wrote a list of all the things I love in YA, fiction and movies/TV shows, a forbidden romance is something that I love in any story. I also love twists and turns and like keeping the reader on their feet, which required each queen to have a dangerous secret—or two! The secrets themselves evolved organically as I wrote the book. I wanted the secret to not only fit with the character but be in response to the quadrant they grew up in. 4. I love forbidden love too. What was your world building process like? How did you keep track of basically four different worlds? always knew I wanted the world to be divided and have distinct qualities that influenced the characters and their personalities and beliefs. I wanted the regions to be exact opposites of each other, as this always creates great drama! Eonia was the first quadrant that was solidified, with their focus on technology and medicine but with a repressed, controlled society. From there, I wanted a quadrant to be contrasting that, which was Ludia—the pleasure quadrant with a people who revel only in the lighter things in life. It was a bit of a balancing act, creating enough push and pull between the different quadrants. The queens themselves are the embodiment of the quadrants, so I could develop both the characters and their regions at the same time, making sure their personalities rang true to where they came from. 5. This is a mixture of two genres: fantasy and murder mystery. What were the challenges in writing the mystery of Keralie trying to find the culprit out to kill the four queens? 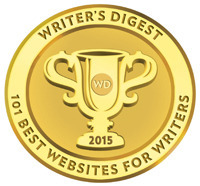 What advice do you have for other writers? The challenge of a murder mystery is always going to be figuring out who the murderer is and why they would do it. You don’t want readers to be disappointed with the killer’s motives or have them figure out the culprit too easily. At the same time, you don’t want the reader to feel like they were misled. It’s a balancing act of hiding things from the reader while revealing clues in order to figure out the mystery. The reveal payoff has to be surprising as well as realistic—within the world you’ve built. I actually didn’t know who the killer was myself until 1/3 of the way through the first draft. I then went back and put in clues, as well as red herrings!, so the reader wouldn’t feel cheated when they found out the truth. 6. The mystery part of it sounds complicated. Can't wait to see how you kept the good balance you describer. Did you plot this story out or wing it? How did this process work for you and what will you do differently next time? I’m a pantser, so I never outline the plot. Most of the time, I have no idea where the book is going! I find that this works well for me as the book and characters evolved organically and I can discover the murderer as the reader would. Working this way means I revise more than other authors might, but revising is my favorite part of the process, so I don’t mind. I write all my books this way, and can’t imagine doing it any differently. I get creatively blocked if I try to write an outline before I’ve finished a first draft. 7. That must be hard with a mystery. 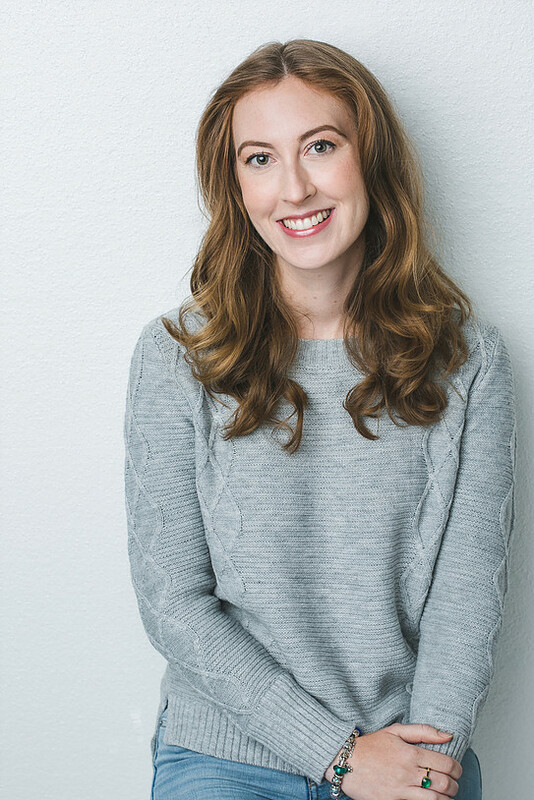 Your agent is Hillary Jacobson. How did she become your agent and what was your road to publication like? I signed with Hillary through PitchWars in 2016. She was one of the participating agents and she requested my novel through the agent round. A week later, she offered representation. It was surreal! Therefore, I didn’t actually have to query this novel, which was a relief after years of querying. I can’t recommend PitchWars enough! I was very lucky that my road to publication with Four Dead Queens was so smooth. In under a year, I wrote the novel, got an agent and signed a two-book deal with Penguin Random House. But this was after five years of being in the query trenches with around 200 rejections over two different books, so I know the pain of querying! 8. You live in Australia, which must really impact on your marketing of your book in the U.S. How are you planning to promote it here? What do you think are effective ways to promote a book without being able to schedule many events in the U.S.? It can certainly be difficult with timezones and I’ve spent numerous evenings up till 4am so I can participate in online promotions, such as cover reveals and pre-order campaigns. I’m very lucky that my day job takes me to the USA at least once a year, and I love Disney Parks so I try to go as much as possible, which has allowed me to attend some events in person, such as New York Comic Con and Yallwest. I definitely recommend international authors visit the USA in the lead up to their release, if possible. As for promoting remotely, much of it has to do with timing. I’ve found posting late my evening/early morning EST works well for Instagram posts as does early my morning for Twitter posts. It’s not as easy as being in the USA, and I often feel behind the eight ball, but it’s certainly doable! 9. I saw on your website that you already have publishers of your book in nine countries. That’s so awesome! How did that come about? 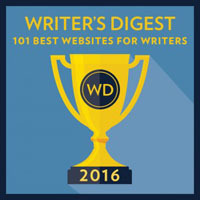 Any advice on getting a book published in other countries for other writers? I am beyond excited to see my book written in another language! It’s an author’s dream come true! 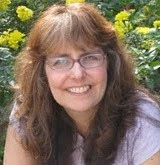 I have an amazing foreign rights agent, Roxane Edouard, at Curtis Brown UK who organizes my foreign rights. Roxane loves my book and has been a wonderful advocate from the beginning. My advice would be to look at foreign rights departments and agency partners when you’re researching agents. ICM Partners use Curtis Brown UK for all their foreign rights and they’re very strong in the market. The other piece of advice I would recommend is to try to only sell North American or World English rights to the USA, that way your agent can sell foreign territories themselves, rather than selling these to your publisher. 10. That's great advice about finding a good foreign rights/agent team. What are you working on now? I’m currently working on what I hope will be my third published book, another YA fantasy about family, identity, and—of course—murder. I think fans of Four Dead Queens will really enjoy it. Next year, Penguin Random House will be publishing my second book which is another standalone YA fantasy/sci fi mashup which explores grief. I’ll be finishing the edits for this book later this year. 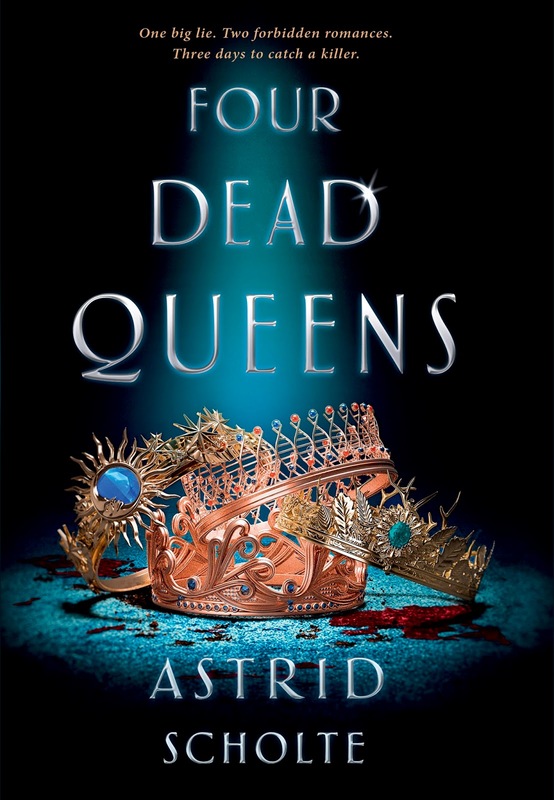 Astrid has generously offered a pre-order of FOUR DEAD QUEENS for a giveaway. To enter, all you need to do is be a follower (just click the follow button if you’re not a follower) and leave a comment through February 23rd. If your e-mail is not on your Google Profile, you must leave it in the comments to enter either contest. If you mention this contest on Twitter, Facebook, or your blog, mention this in the comments and I'll give you an extra entry. You must be 13 years old or older to enter. This giveaway is International to anywhere that the Book Depository ships for free. Good thing you stuck it out, Astrid. I'm sure the time difference makes it interesting. And you also work in a really interesting field! What a fantastic story idea and love the inclusion of four queens from four very different regions. That tagline, "One big lie. Two forbidden romances. Three days to catch a killer" sounds wonderful and really has me intrigued to read more. Have a nice week Natalie. Four Dead Queens sounds like a great read! A great story idea, thanks for sharing. Congrats, Astrid! Sounds like a very intriguing world that's been built here. I'm always impressed by that. The book looks fabulous A great post thank you. Astrid!! I read this book and it's SO FANTASTIC!! I didn't know Astrid originally had 6 queens—very interesting! Great interview ladies! Great interview and I love the inspiration for the book. I was lucky to resieve an arc of this wonderfull book and I was blown away! Well done Astrid! Thanks for the post and the introduction. I'd love to have a copy of Four Dead Queens, thanks for the chance to win it!! I tweeted a link to this post: https://twitter.com/carlrscott/status/1095410272913653760, and pinned an image on Pinterest with a link as well: https://www.pinterest.com.mx/pin/336573772149509205/. Thanks again, have a great week!! Sure shows to keep pushing on. Sounds like a good one indeed. I like the tagline and the idea of it. There is much to learn in this post. Thanks for that. I will pass on the drawing. I love the complicated mystery woven through the plot! And how exciting that its being translated in so many languages! What a fun interview. Congrats to Astrid! Great interview! I love your story of persistence, Astrid, and your background in animation and film production. Natalie - thanks for all your time rounding up resources to share with us - we appreciate you! Four Dead Queens sounds fantastic. Six of Crows is one of my favorites, and it combines fantasy and a heist. I think I'd love the fantasy/murder mystery combination as well. Thank you for sharing your story of persistence! Have heard so much about this book. It sounds amazing. Yay for pantsers! I look forward to reading this book. Loved this article! I've been dying for Four Dead Queens since it was announced. I've read a preview and can not wait for release day! I tweeted about the interview/giveaway too. Congrats, Astrid! I've read the opening of Four Dead Queens and can't wait to read more. Thank you for a generous giveaway! Congratulations on your book. I enjoyed the interview and have been waiting for this book with great excitement. Four Dead Queens sounds lie exactly my kind of book.